This post is part of a sponsored campaign with Kayle Concepts and MomSelect. All thoughts and opinions are my own. It's that time of year where kids are making their holiday wish lists and moms are searching for unique gift ideas. I'm excited to introduce you to a new revolutionary toy that will is sure to be a hot toy this year! 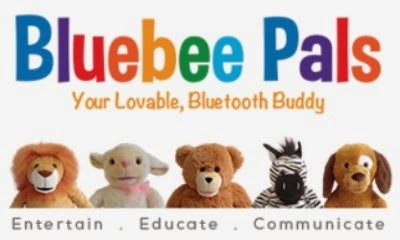 Meet Bluebee Pals, a new Interactive Bluetooth® Enabled Plush Companion and Learning Tool from Kayle Concepts. Bluebee Pals is a huggable plush toy that sings, reads and answers phone calls. The advanced technology includes lip synchronization allowing the animal's "mouth" to move while singing and reading your child's favorite storybooks or learning apps. You can even surprise and entertain your family and friends when you use your Bluebee Pal as a wireless speaker phone! There are 5 different Bluebee Pals to choose from, including: Leo the Lion, Lily the Lovable Lamb (which we received), Riley the Zebra, Sammy the Bear, and Winston the Puppy. So How does it work? 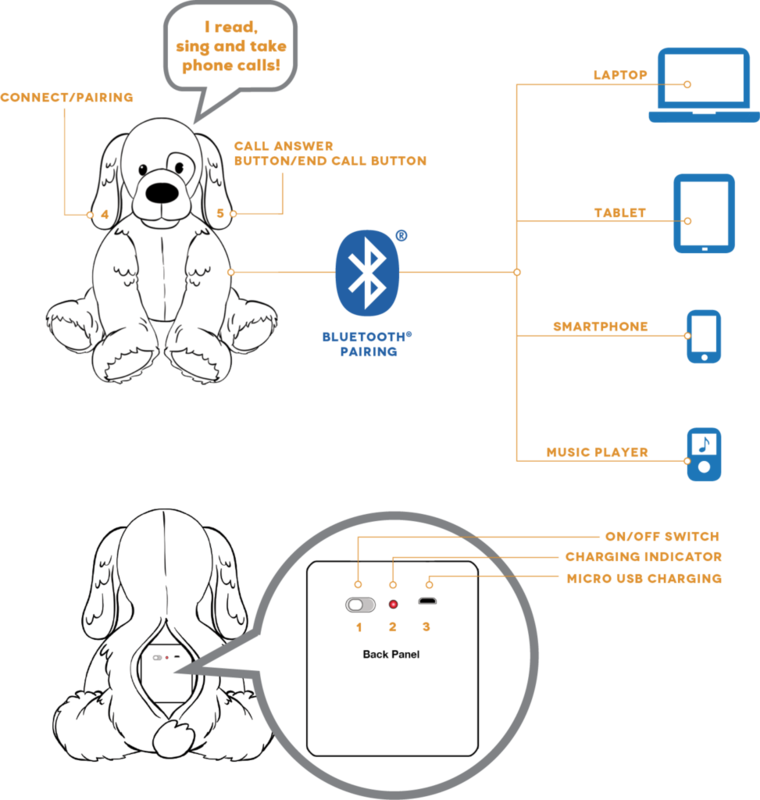 Pairing is a process which connects the toy to a smart phone, tablet, laptop, or any other Bluetooth® enabled device. Follow the simple steps below to pair your toy with a device. Check out this commercial for Bluebee Pals that will be airing soon. I love that they have a link to some great recommended apps that you can use with your Bluebee Pal. We have been having a LOT of fun with our Bluebee Pal and I can't wait until Christmas morning. You can view some of our fun on Instagram. Bluebee Pals Puppy is available for purchase at Toys ‘R Us, all others are available on www.bluebeepals.com and retail for $64.99. Make sure to follow them on Facebook, Twitter, and/or Instagram for exciting product info as well as fun giveaways! 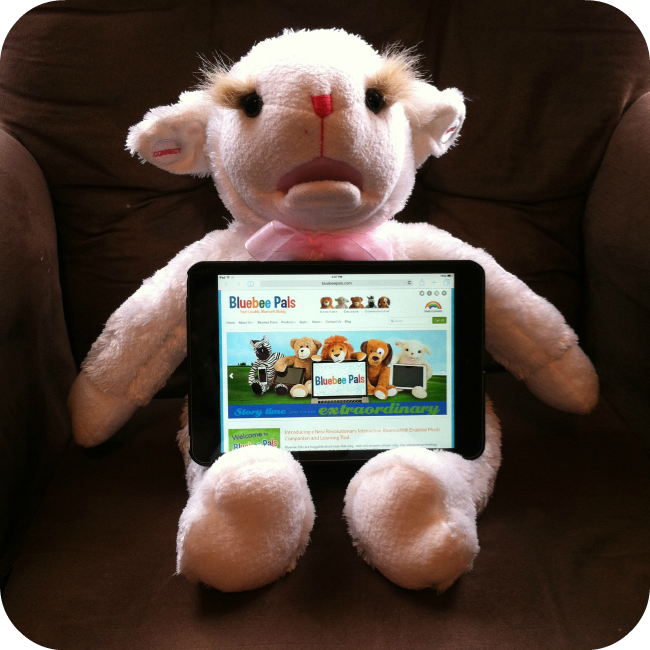 What do you think about the innovative Bluebee Pals? Would you buy this interactive friend for your little one?